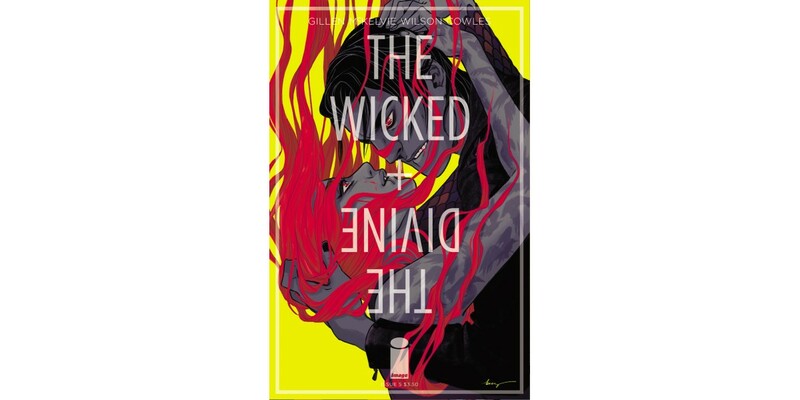 Image Comics is pleased to reveal a very special variant cover by artist Becky Cloonan (SOUTHERN CROSS, Demeter) for Kieron Gillen and Jamie McKelvie’s THE WICKED + THE DIVINE #5. Cloonan’s interpretation of Baphomet and The Morrigan sizzles and will be available to order with Diamond Code AUG148290. THE WICKED + THE DIVINE #5 marks the end of the first story arc and is an action-packed finale that will rip the rug out from underneath readers who thought they’d had everything figured out. It’s showtime. "Put it like this: it's the climax of the first story,” said Gillen. “It's the climax. The aim is to let loose those martian-metal fireworks in your head and burn it into your cortex forever. If people open up your skull they'll find I REALLY LIKED THE END OF THE FIRST THE WICKED + THE DIVINE STORY written on your grey matter in neat letters. That's what we're shooting at. We can't wait for people to read it." THE WICKED + THE DIVINE #5 will hit shelves on 10/22 and can be ordered with Diamond Code AUG140694. Keep an eye out for the special Becky Cloonan variant (Diamond Code AUG148290) which will be available on the same day. Final order cutoff deadline for retailers is Monday, 9/29.